The future of the NHS lies in it belonging to the people, designing services they understand and can use requires them to be fully involved in decisions we make. To make this a reality we need to be brave about being radical. On Thursday the 18th of September the NHS England Board and senior managers will be talking about five important issues for NHS England (this is the first test of the NHS Citizen Assembly). What will be different is that these issues have been suggested by NHS Citizens, submitted publicly, considered and scrutinised online and then selected at an agenda setting process (that will be run) on the 1st of September which can be watched online. Those discussions at the Assembly won’t be run by the board members or the senior managers, but they will join and take part on an equal footing with citizens before they reflect back on what they have heard and can take away. This meeting, of 250 people, will then run into the formal AGM. This way of working gives us a real opportunity to think differently about how we work with citizens and challenges traditional approaches to involvement and agenda setting. There is still time for you to influence the agenda and I would encourage you to get involved. There will be online conversations #nhscitizen and webcast – visit the NHS Citizen website for more information. 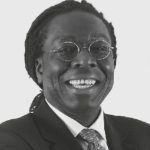 Victor Adebowale is currently Chief Executive and company secretary of Turning Point. He is a cross-bench peer and Visiting Professor and Chancellor at the University of Lincoln, a Fellow of the City and Guilds of London Institute, an associate member of the Health Service Management Centre at the University of Birmingham and of Cambridge University Judge Business School. He is a director of Leadership in Mind and THP Innovate and Chair of youth charity Urban Development. Victor is on the Board of Governors for the London School of Economics, and is President of the International Association of Philosophy and Psychiatry. His previous roles include being the Chief Executive at Centre Point, the youth homelessness charity and membership of the United Kingdom Commission for Employment and Skills. how has this been publicised – with 63 facebook likes clearly not very well! I work in the NHS and only found out about it on NHS england email this morning.